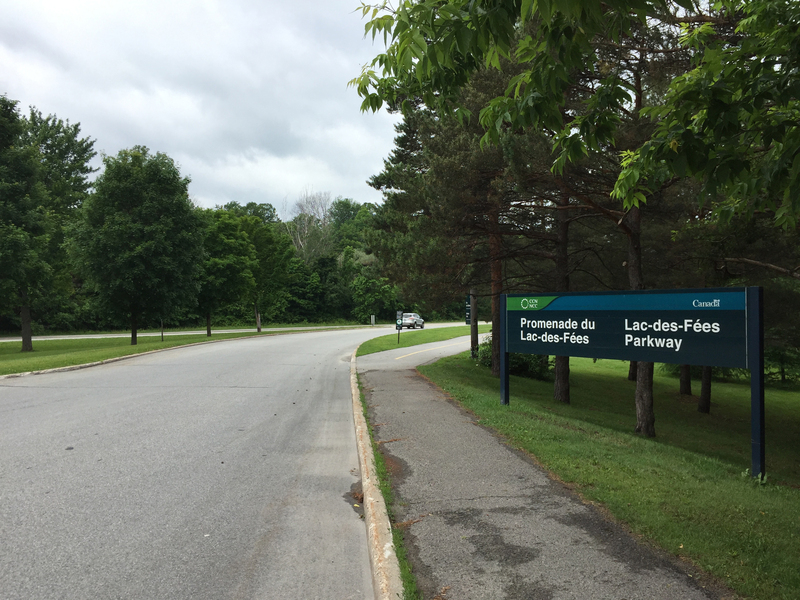 The Lac-des-Fées Parkway runs along the eastern edge of Gatineau Park. 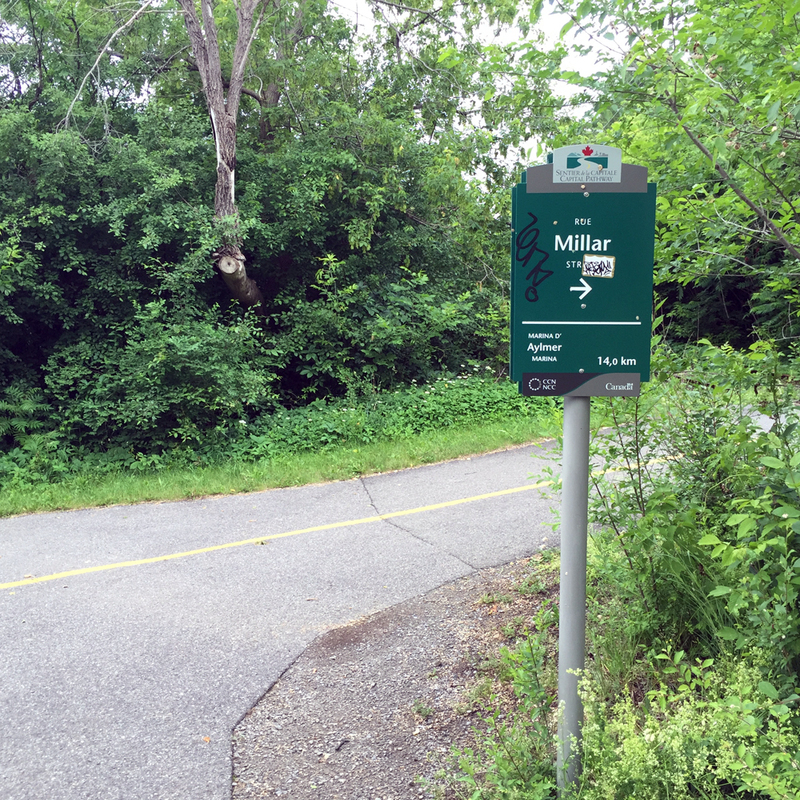 A multi-use pathway runs parallel to it, then curls in to the park at Rue Gamelin, eventually meeting up with the Gatineau Park Pathway. 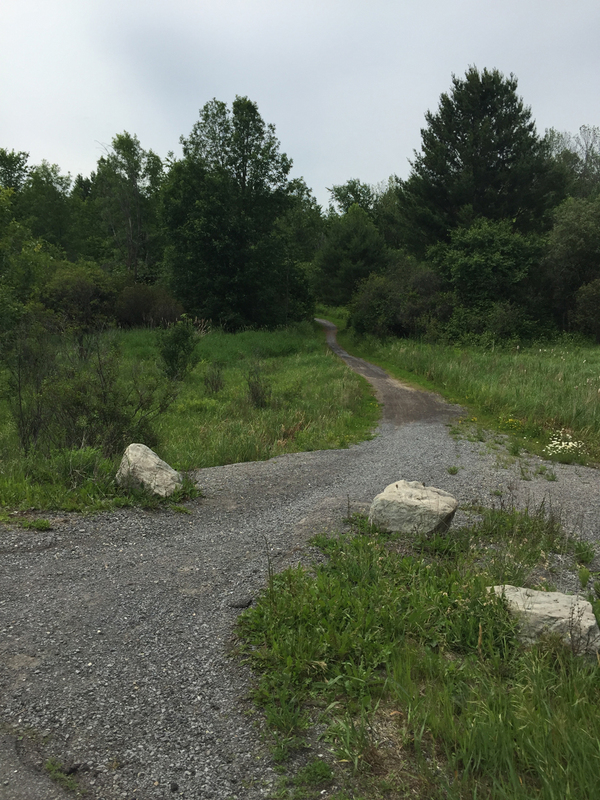 It’a a good commuter route for those living adjacent to the park, as well as a slightly less arduous access to the park than the Gatineau Park Pathway, albeit not as scenic. 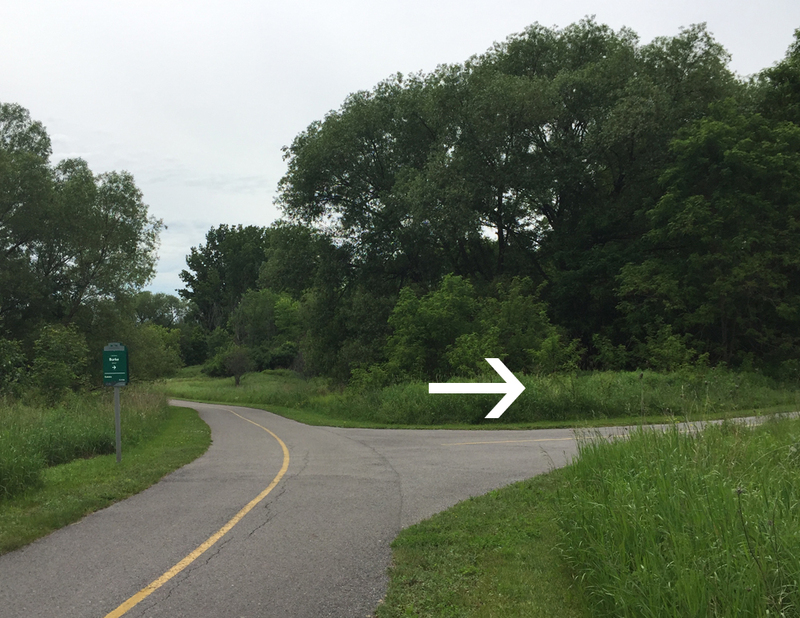 The tricky part is how to access The Lac-des-Fées Pathway from the south, more specifically the Voyageurs Pathway that runs along the mighty Ottawa River. Here’s how. 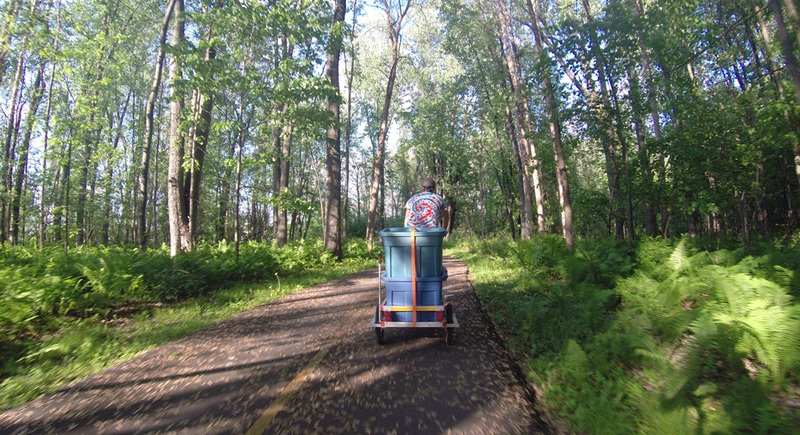 Riding along the Voyageurs Pathway heading west there’s a sign indicating Rue Millar. 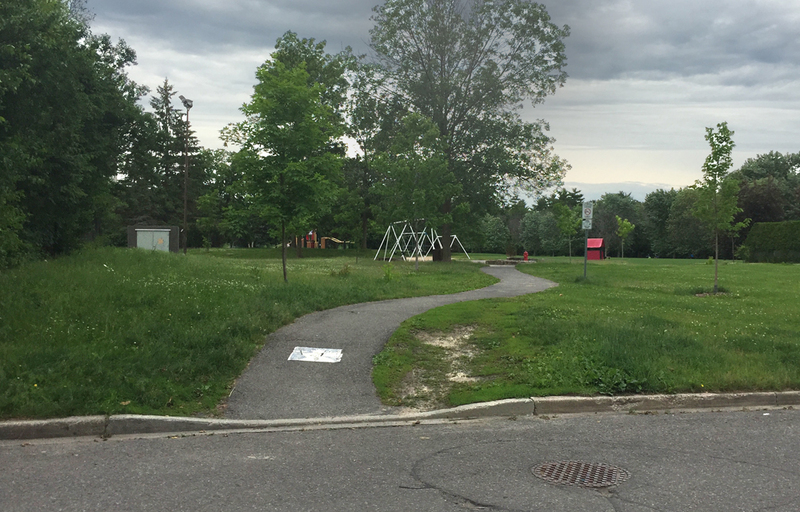 Right across Rue Millar there’s a path through cozy little Parc Baker. 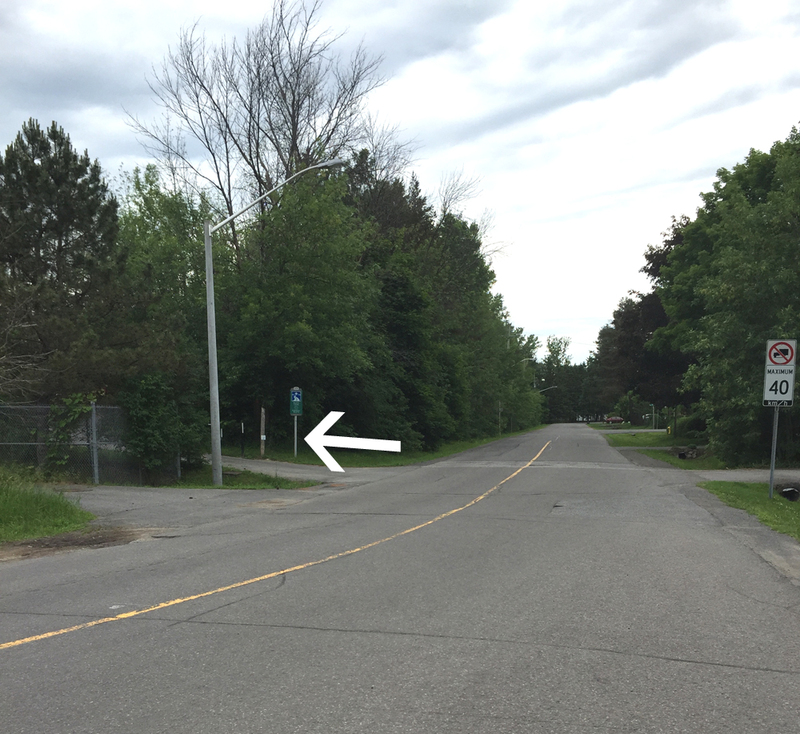 The path through Parc Baker brings you to Boulevard Alexandre-Taché, one of the worst roads to ride along in the entire Outaouais. Fortunately Alexandre-Taché needn’t be followed for very long, and there’s a sidewalk to follow that goes over the train tracks. 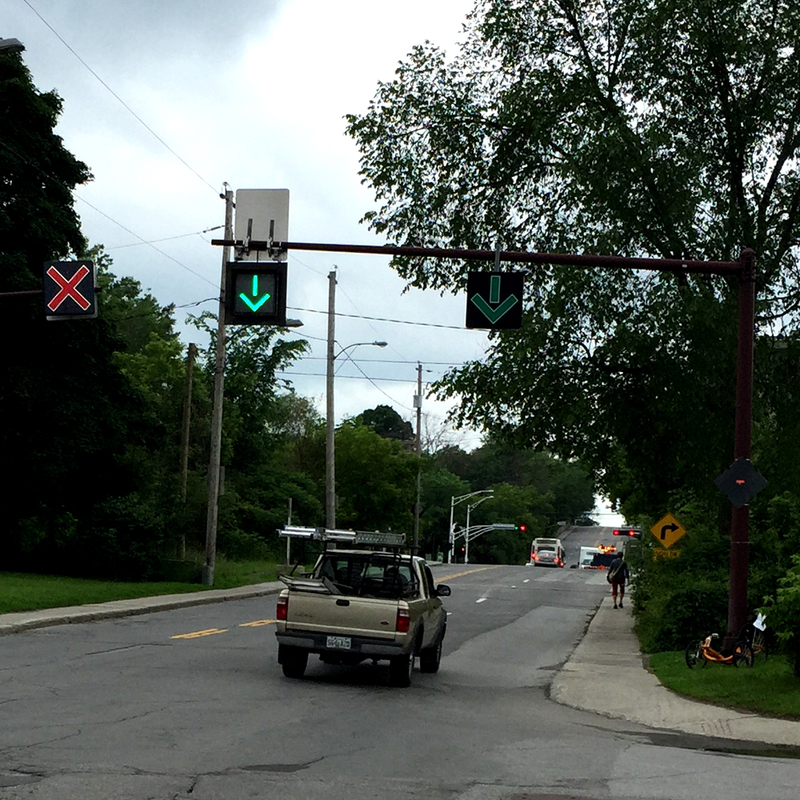 Just beyond the tracks there’s a desire line path that crosses in front of the Salaberry Armory. 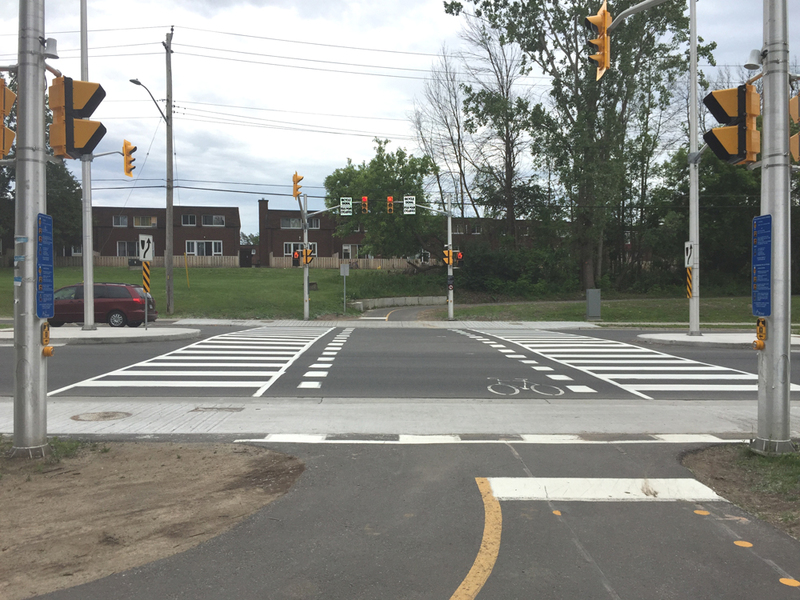 This leads to Boulevard St-Joseph, another less than spectacular riding experience, with many-a-pothole and cross town traffic, but far less insane than Alexandre-Taché. 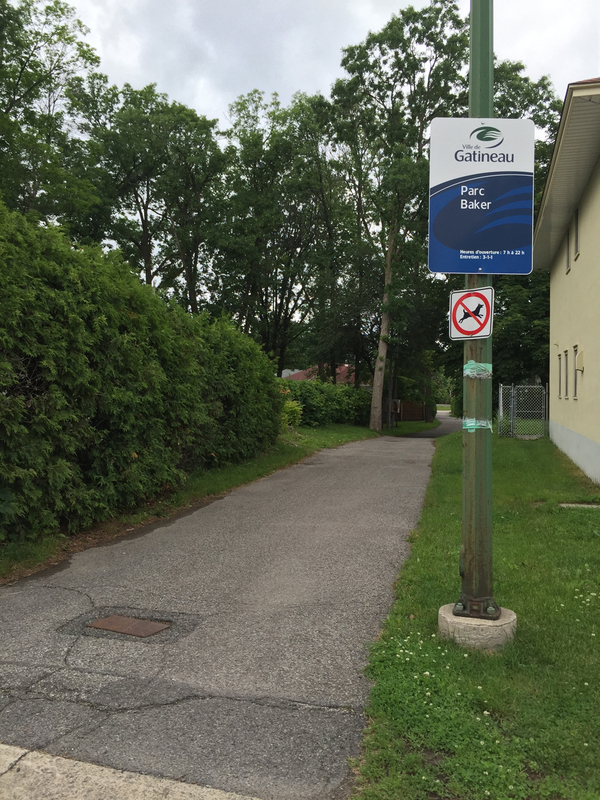 It also requires following for just a short stint before arriving at the FIP sign pointing to Promenade du Lac-des-Fées along quiet residential Rue Duquesne. Then, hop! 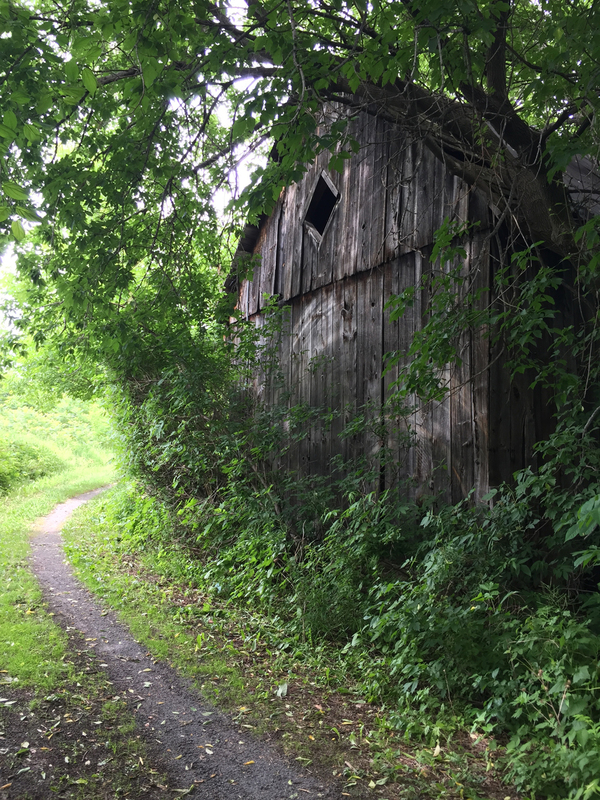 – you’re onto the Lac-des-Fées Pathway. On the way back things get a little convoluted as Rue Duquesne is a one way heading west. 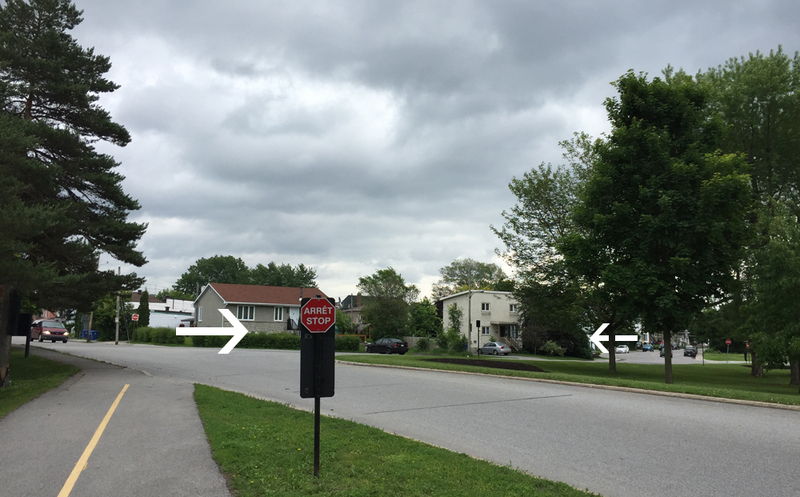 This requires weaving one block south to Rue Graham, as indicated by the purple line on the above map, and the photo below. 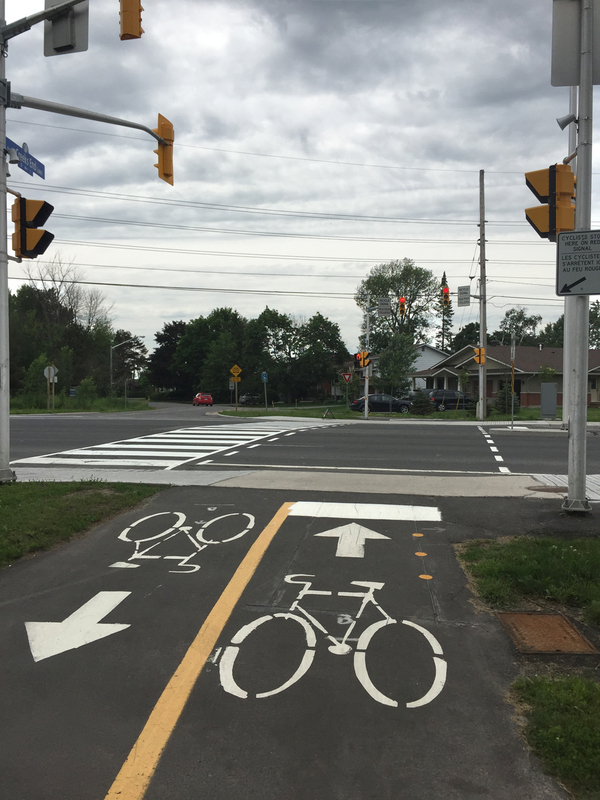 UPDATE- May, 2017: New bike lanes have been introduced along Cyrville Road, thus addressing many of Élise’s concerns described below. Her’s was a great description of the ‘before’ conditions. 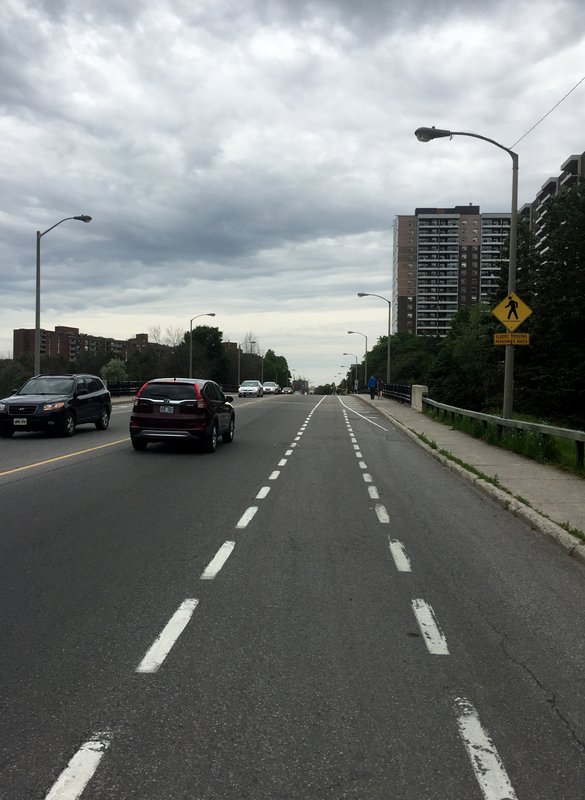 The new bike lanes along Cyrville are described in this post. 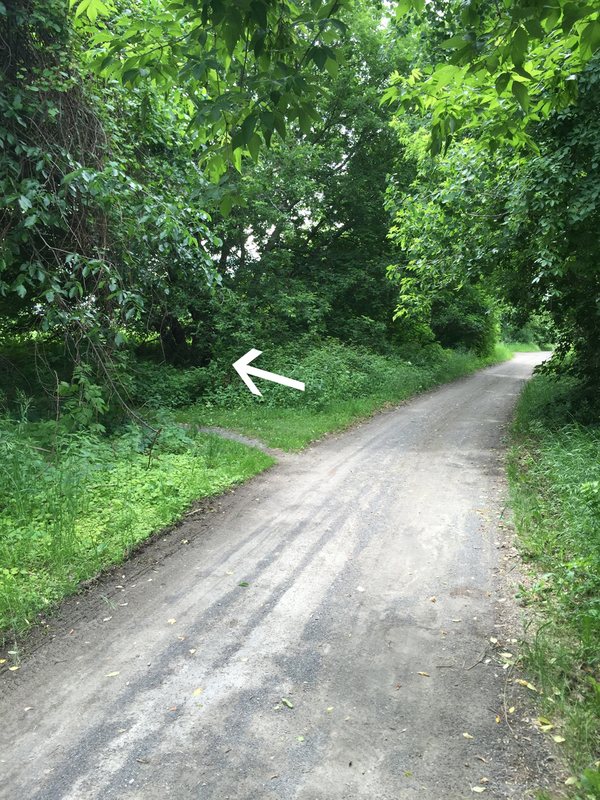 Bike access to the community of Pineview from areas west and north of it is very limited. The Trans-Canada Highway divides it from the west, while the Queensway separates it from the north. 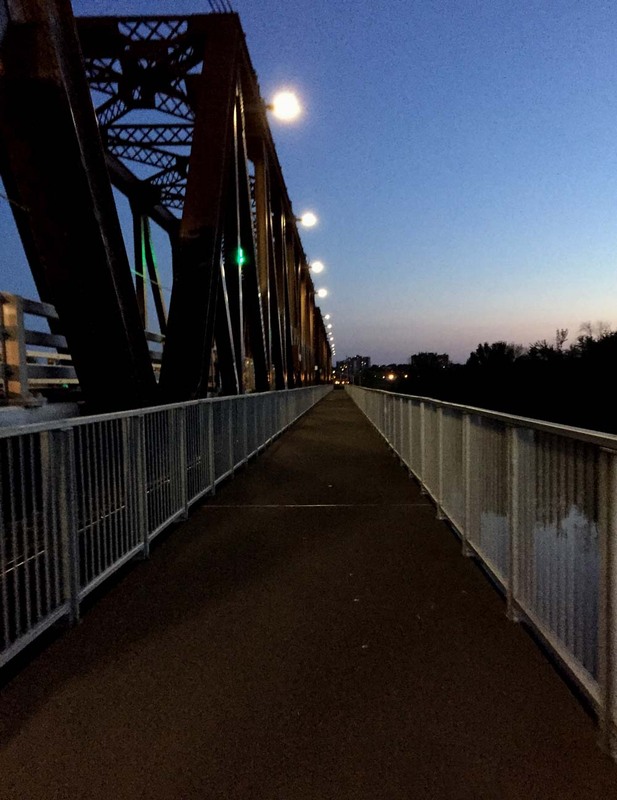 I’ve described one option that requires walking your bike over the Blair Transitway pedestrian bridge and carrying it down a set of stairs or taking the elevator at the north end of the bridge. Oof! 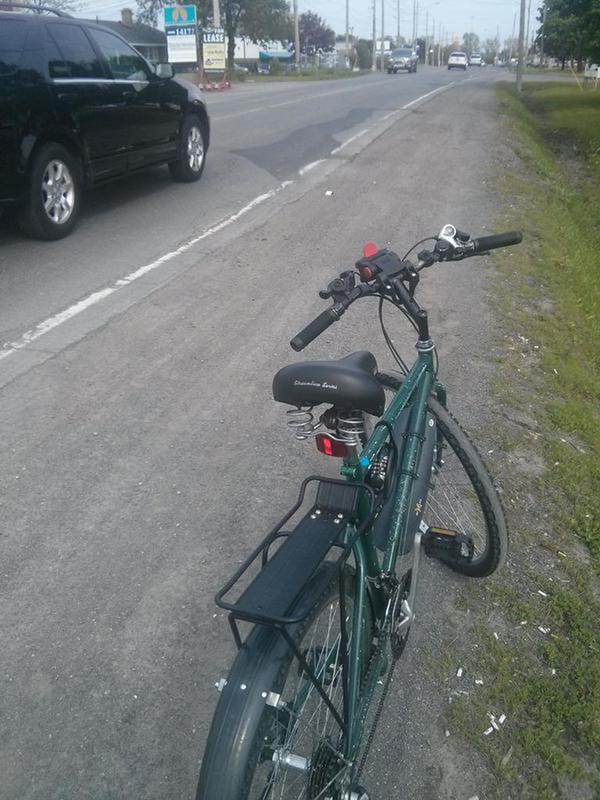 Another access over the Trans-Canada along Innes is very dangerous and foolhardy to bike along, as described in this post. 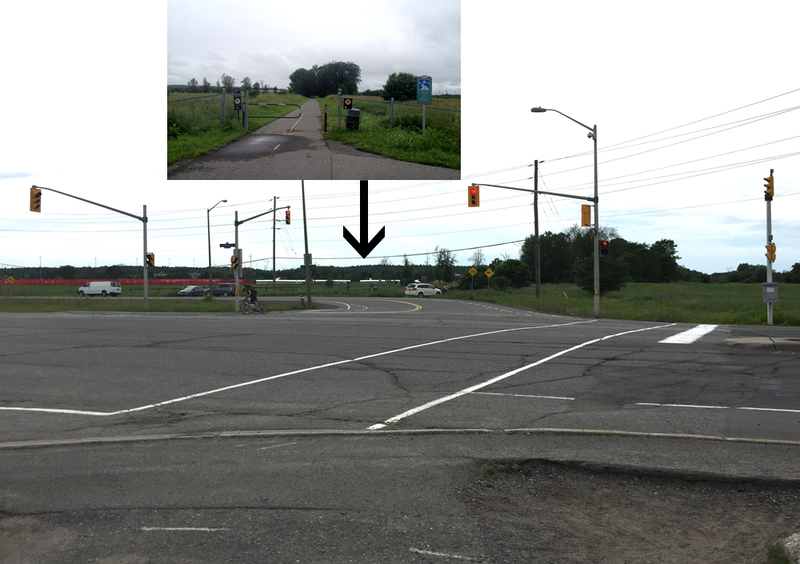 The other option is to ride along Cyrville Road over both the Queensway and the Trans-Canada. 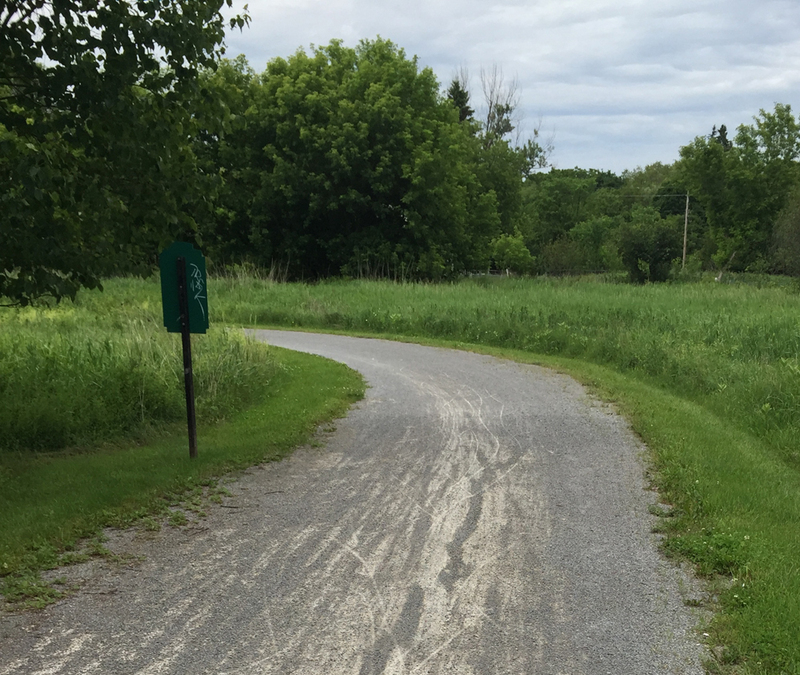 It unfortunately is less than stellar, with intermittent sections of bike lanes, gravel shoulders, rough road conditions, and lots of speeding car and truck traffic. 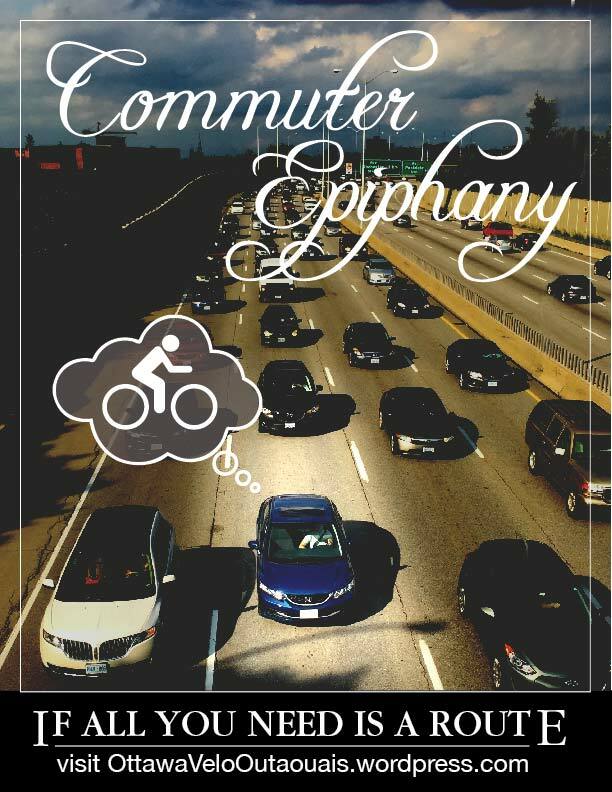 Élise lives in Pineview and recently described the ride along Cyrville road from Overbrook to Pineview in a series of Tweets. She was very kind to let me re-post them in sequence below. I’ve included a map charting where she took the photos along the route. 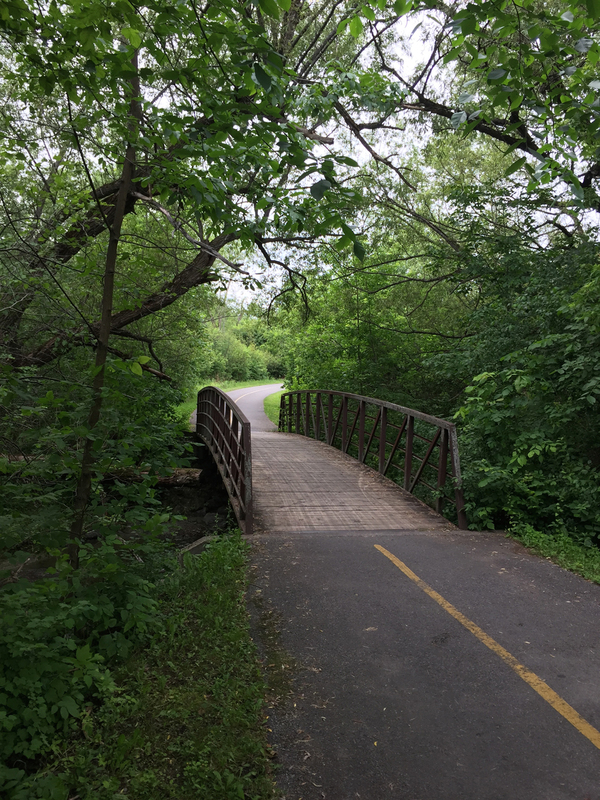 Her tweets did elicit a reaction from her city councillor who responded with encouraging signals he is pushing for safe cycling infrastructure to be introduced along the length of this important access to Pineview. Until such time, here’s what riders have to contend with. All text and photos below credited to Élise Gauthier. Photo 1: Getting onto Cyrville from Ogilvie. 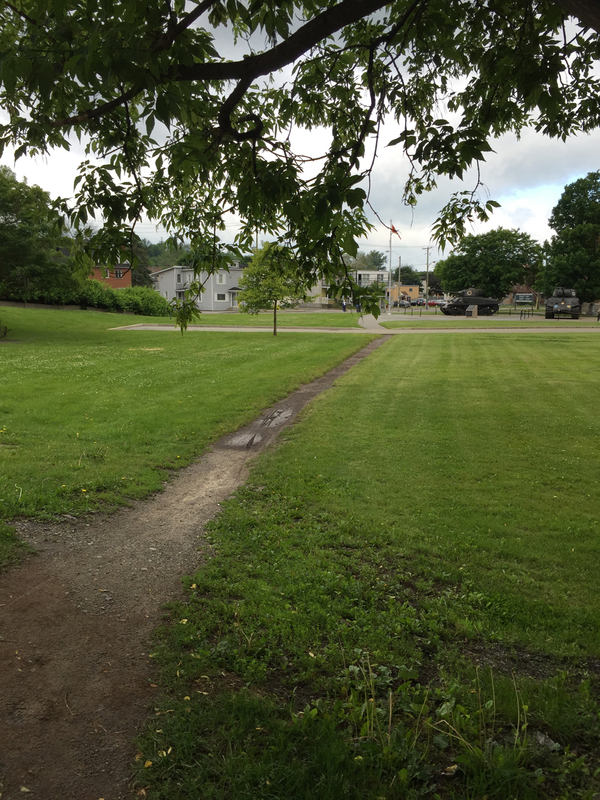 The bike lane suddenly appears. 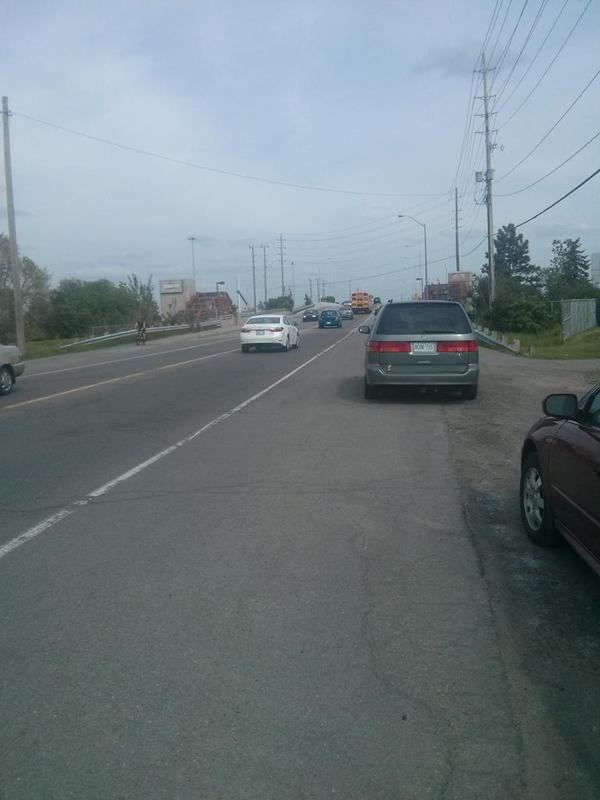 Photo 2: Then you find this weird not-quite-a-bike-lane, where cars can park. 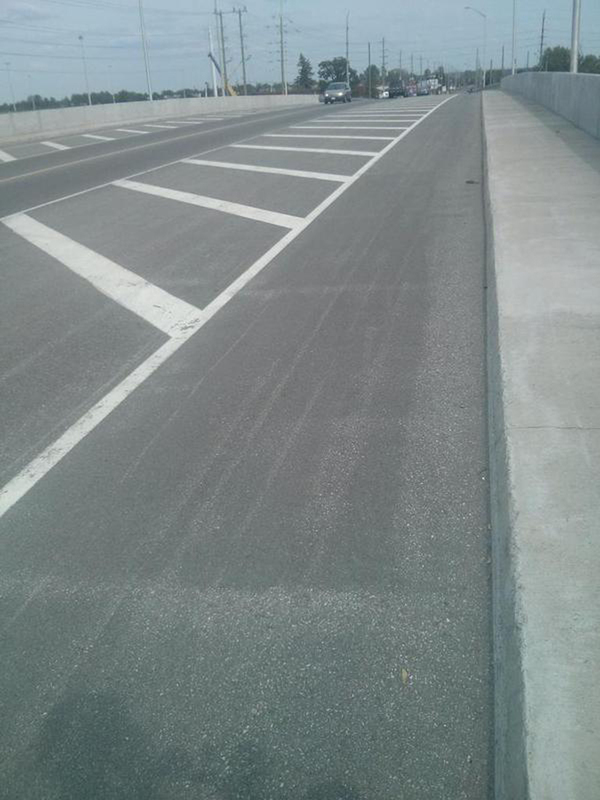 Photo 3: On the Cyrville bridge, a surprisingly nice segregated bike lane. Photo 4: Here I have a choice: scary gravel & huge potholes on the shoulder, or big trucks? 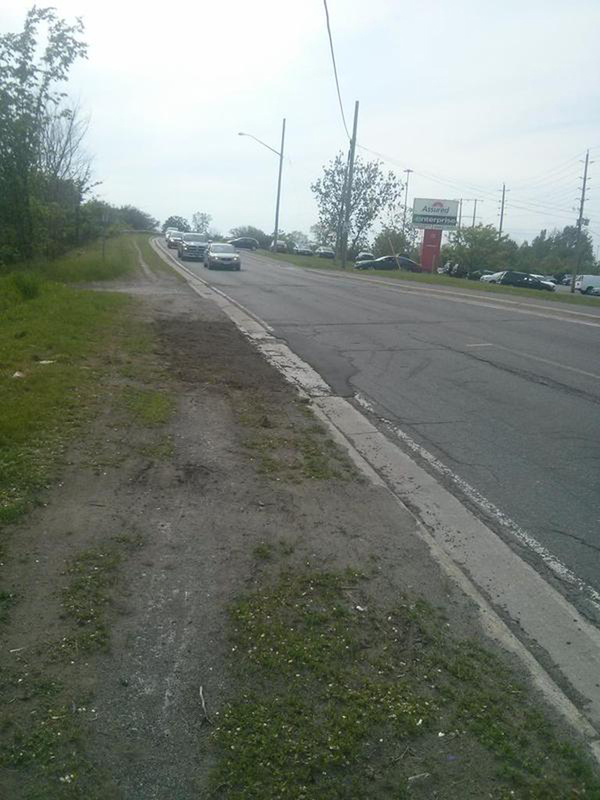 Photo 5: Is this meant to be a bike lane?…. 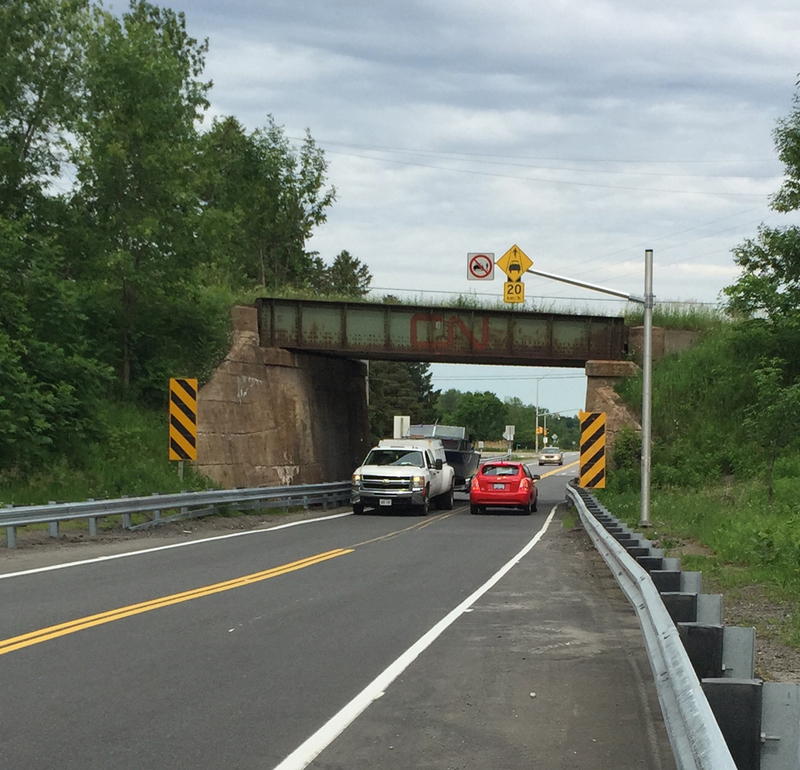 Photo 6: Couldn’t stop on 2nd bridge, but where am I expected to ride here? 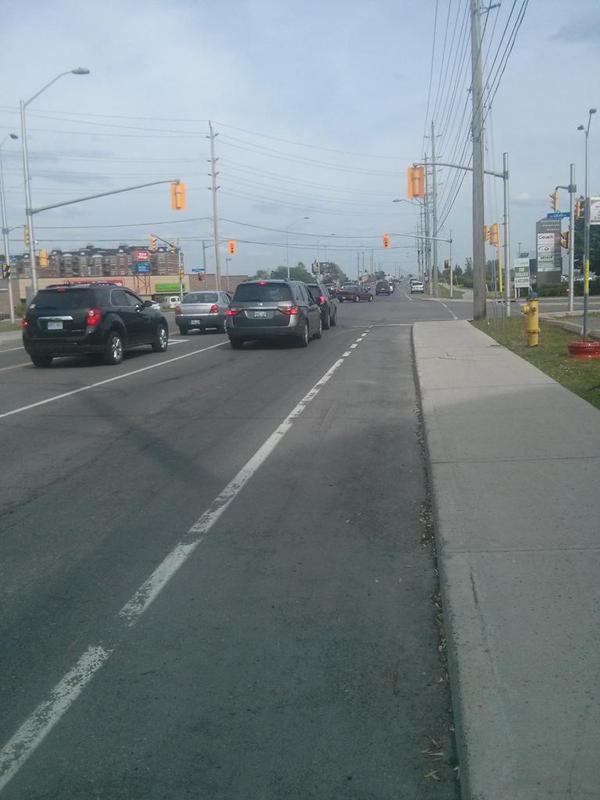 Photo 7: Ah, back to a nice, safe bike lane. And thus ends my death defying bike ride. 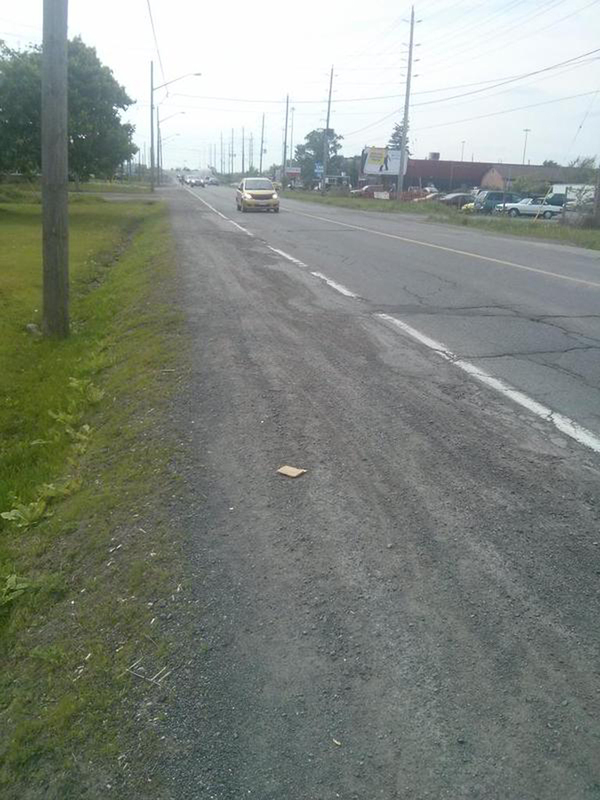 It’s worth noting I saw four other cyclists, so I’m not alone. 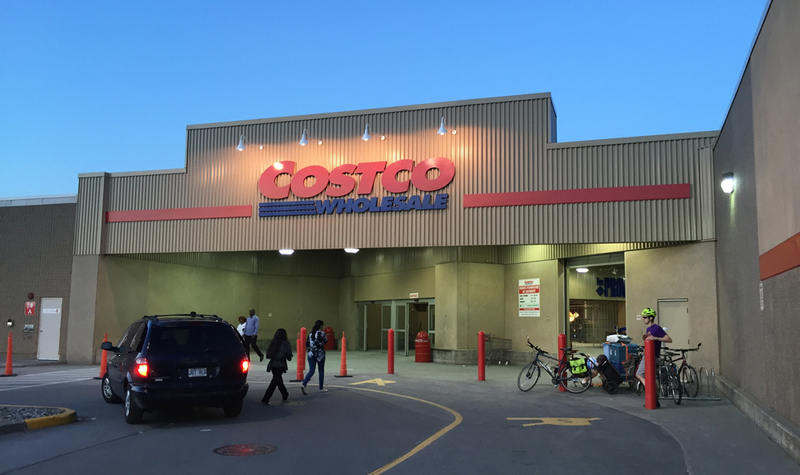 Of all the Costco’s in the region, the one in Gatineau is the most accessible by bike from neighbourhoods in and around downtown Ottawa. A couple of riders who regularly pedal out there were very kind to let me tag along on their latest shopping adventure. 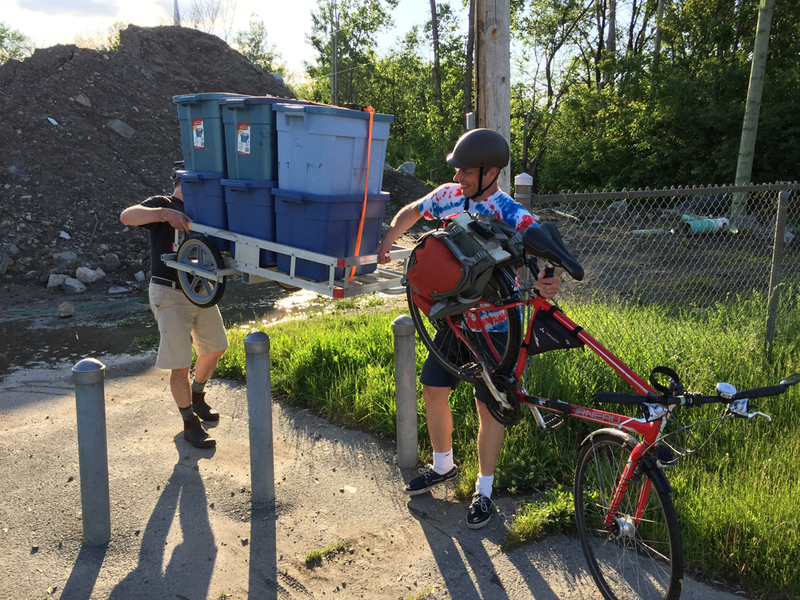 Because everything is sold in bulk at Costco, I put out a request for suggestions on which bike trailers would best be able to handle a big load. The overwhelming favourite were those manufactured by Wike out of Guelph Ontario. Giacomo was very kind to lend me his Heavy Duty Flatbed Bike Trailer he uses to roast his Bike Hibachi Pigskin Pork Tenderloin. It performed extremely well on this Costco test ride. Here’s how it all panned out. Blue line is the way we got there. Purple line is how we got back. 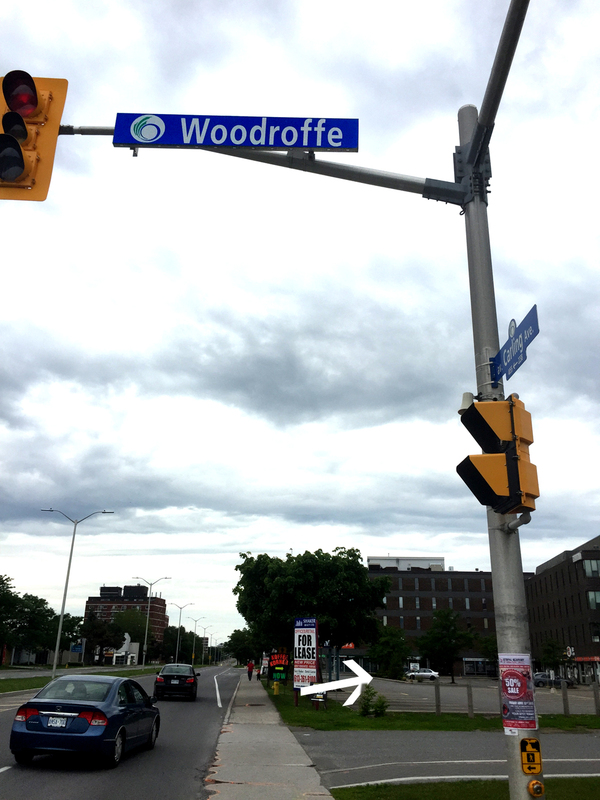 We started off from the Woonerf on Cambridge St North in Centretown. Yes indeed. There are SIX big Rubbermaid bins on the back of that trailer. 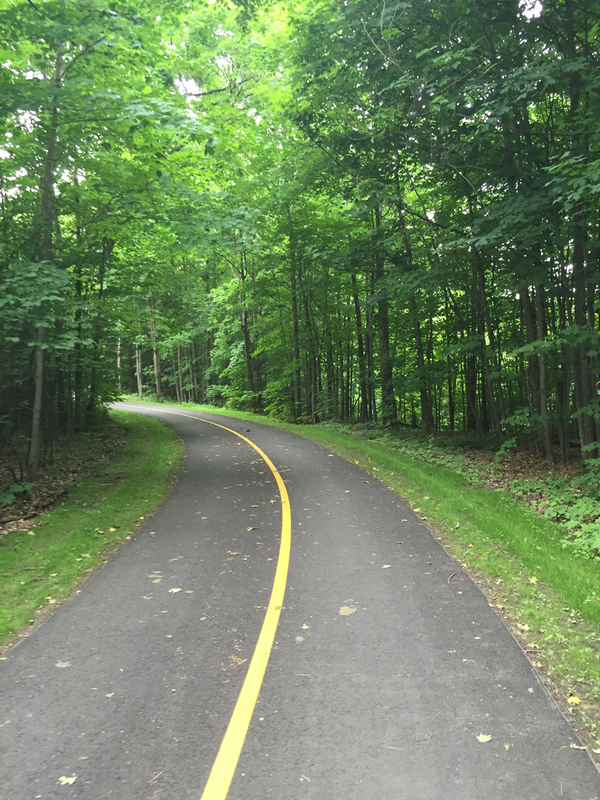 We accessed the Ottawa River Pathway at the bottom of Nanny Goat Hill and followed multi-use paths all the way to Pointe-Gatineau on the east side of the Gatineau River. 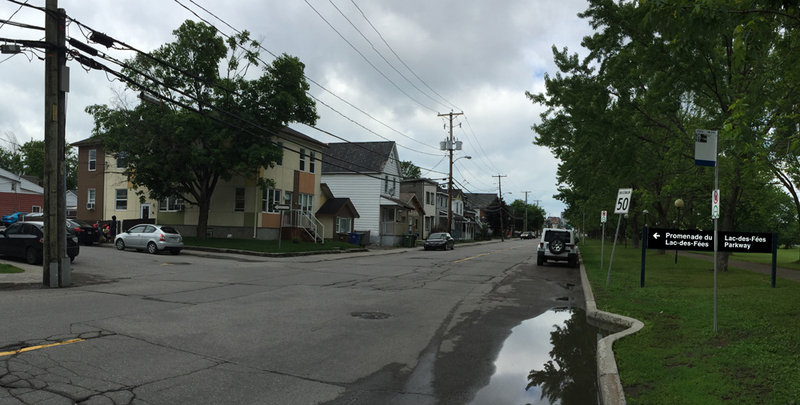 From there we wove our way along paths through Parc la Baie and combination of quiet residential streets. 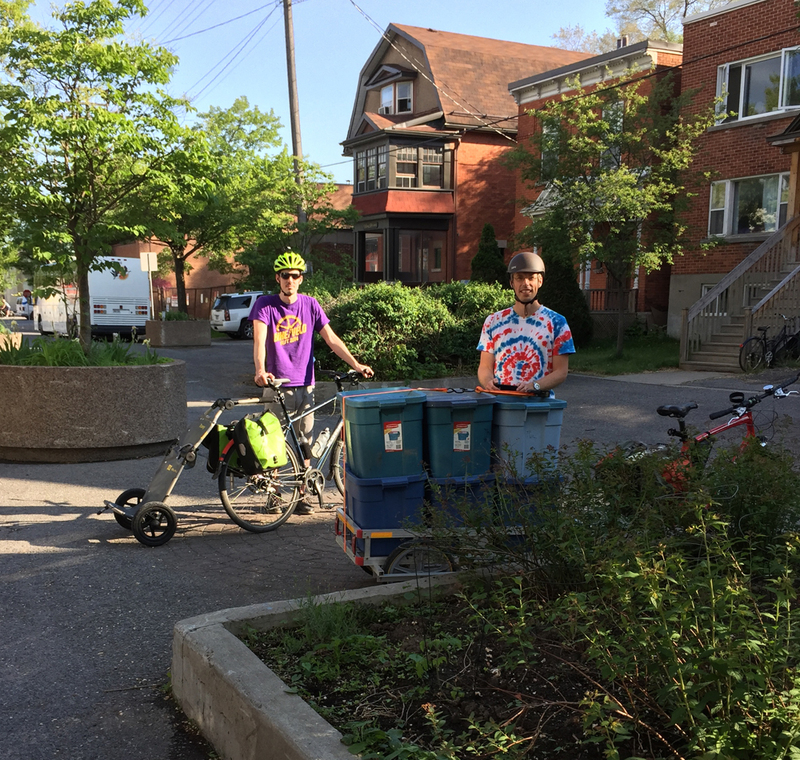 We encountered a bit of a hic along the path entering Parc la Baie where car discouraging bollards weren’t wide enough to let two of our trailers through. This was a minor irritant as we were able to hoist our empty trailers over the bollards. 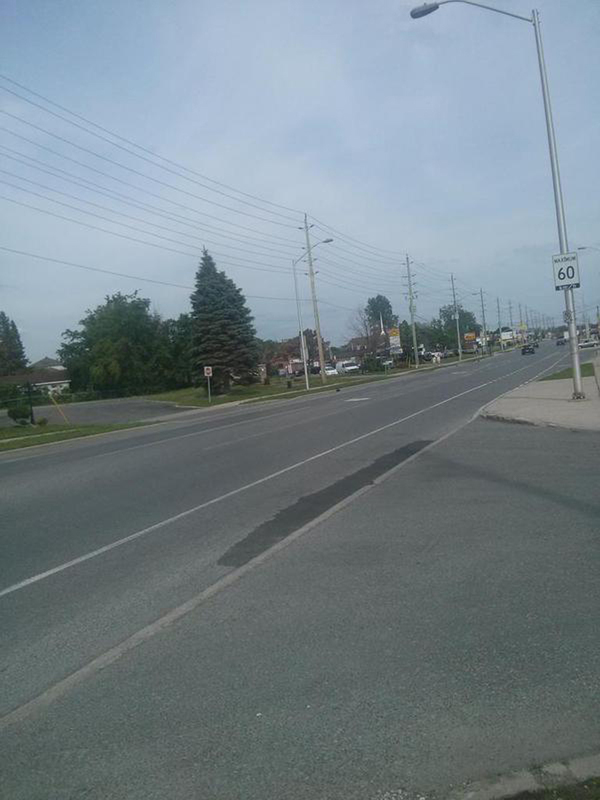 The only busy intersection was across Chemin de la Savane as we approached our destination. 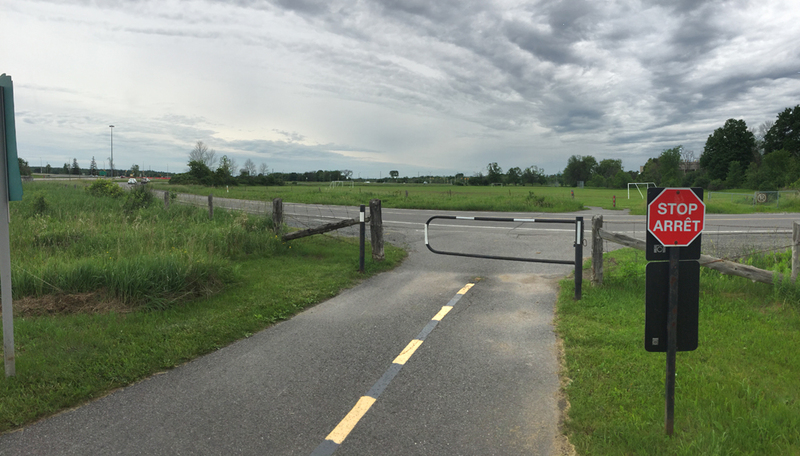 After a stop at the La trappe à fromage, we made our way a through the huge adjacent Costco parking lot to the bike racks at the entrance. The store has a tall extended entrance canopy that smells of car tires (imagine eau de Canadian Tire). 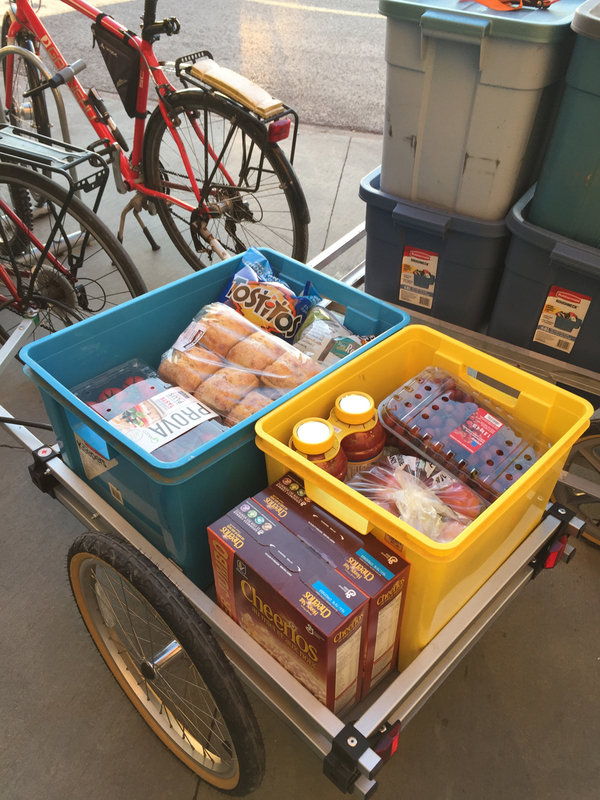 I loaded as much as I would have on a typical car run and even had room for more, especially if I had brought rear rack panniers. Mr One Wheel Drive managed to load 237 lbs (!) on his custom made trailer, like so. 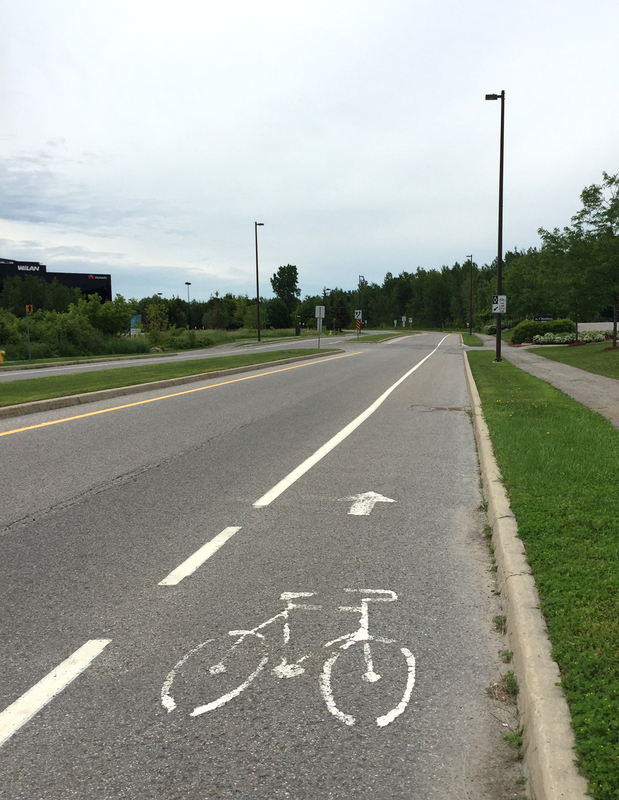 The bike path along Boulevard de la Gappe described in this post passes by the Costco one block north so we followed it on the way back. I managed to click this final image as we headed over the Rapid-Transit bridge before it got dark. 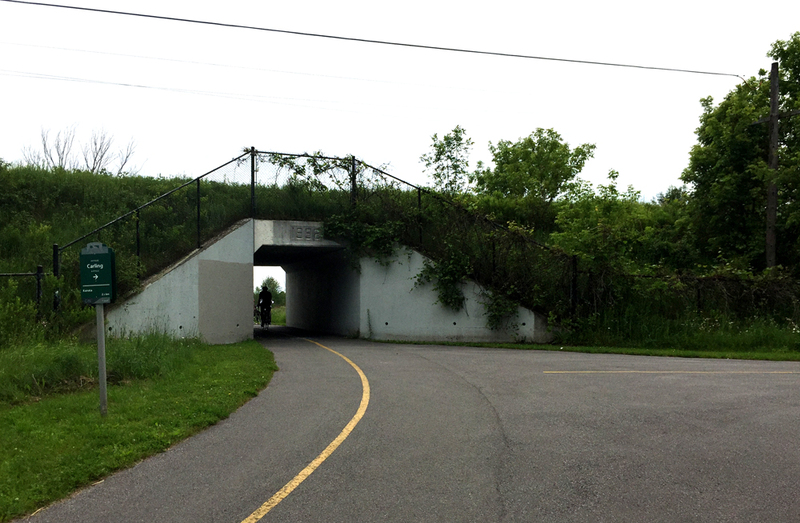 The path network gets a little labyrinthian from Lac Leamy to downtown Gatineau. I’ve heard all efforts at introducing directional signage through this maze have been covered up with spray paint, so a couple of dry runs with Google Maps in hand is highly recommended. 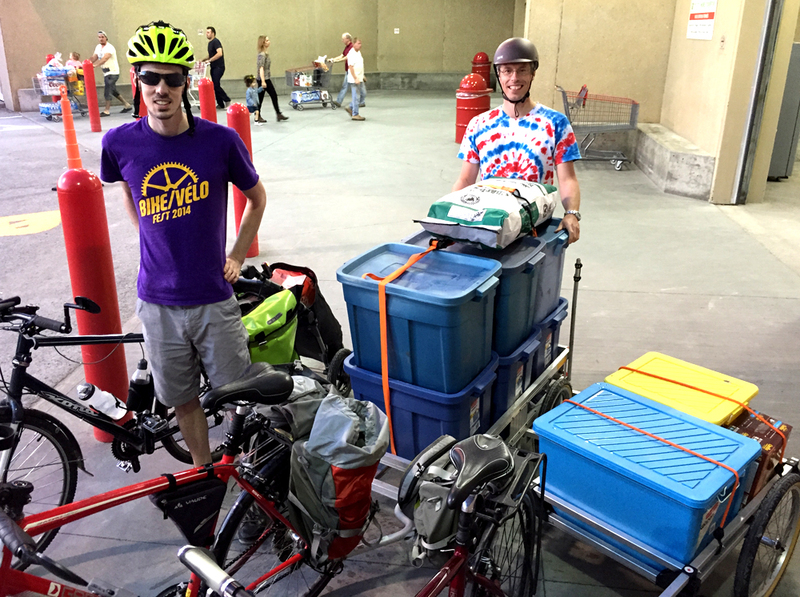 Update – Patrick filmed a subsequent trip we made to Costco following the purple route, which turned out like so!